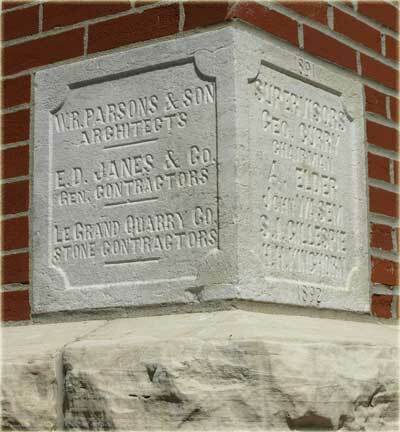 Some courthouses utilized local quarries, some stones were imported from other states. The architects provided a vision of the structure and details for the courthouses. The contractors had the responsibility to use the proper materials, providing the strength and beauty to realize that vision. History of LeGrand, including information about LeGrand Quarry Co.